Just over a week after a new ban on full-face veils came into force in Austria, police have made headlines by following the letter of the law in unexpected ways, such as fining a man who was promoting a store in a shark costume. The man, posing as a mascot of the McShark electronics retail chain in Vienna, was supposed to attract customers to buy a new Apple device. However, he was instead approached by police officers, demanding that he take off his shark mask or face a fine. The man refused to comply, telling police that he “was just doing [his] work,” according to the Heute newspaper. The promoter ended up being slapped with a fine, according to his employer, advertising agency Warda Network. 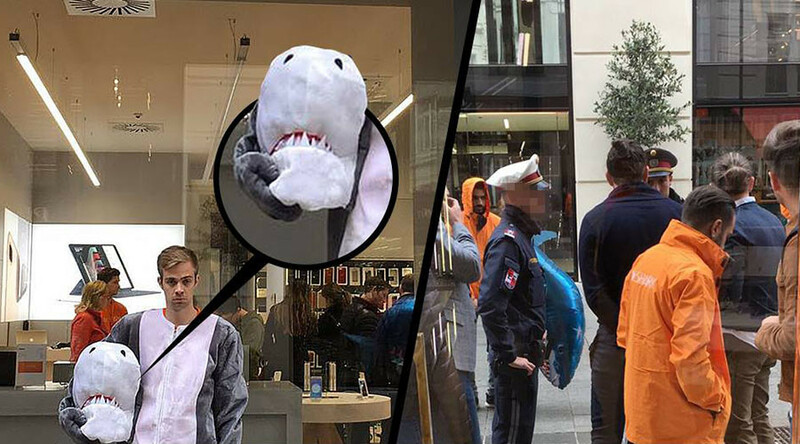 “Today we were at the McShark store opening and our shark mascot received a fine from the Vienna police because of the new ban on face-coverings! Life is not easy!” DW cited the agency’s post on Facebook. The firm’s managing director, Eugen Prosquill, said he didn’t expect mascots to be covered by the new ban. “It would be a shame if there were no more mascots from now on,” he said. The controversial ban, which came into effect at the start of the month, is widely considered to be targeting Islamic head garments such as burqas and niqabs. The authorities claim the legislation is “religiously neutral,” also targeting any headgear that conceals face in the public. The ban could also affect those sporting off-slope ski masks, surgical masks or party masks. It excludes coverings used for medical or safety reasons, as well as for street carnivals or other cultural events. The restrictive act made headlines shortly after its introduction. 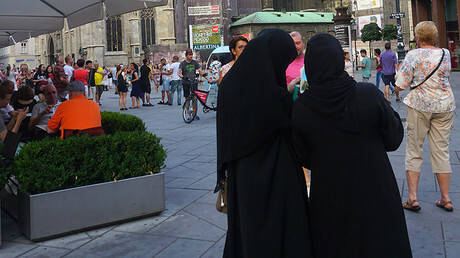 An altercation between two women took place in Vienna last week, when one of them reminded a veil-clad woman about the new ban, according to the Krone newspaper. The police soon stepped in and took the niqab-wearer away to press charges of attempted bodily injury, as well as violating the ban.